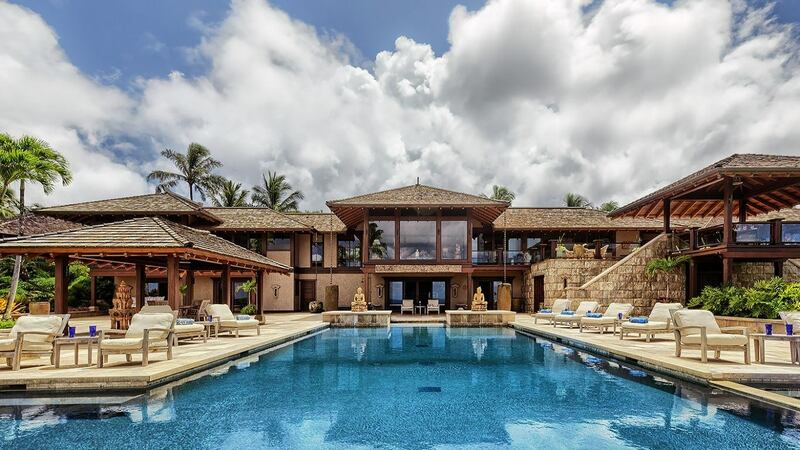 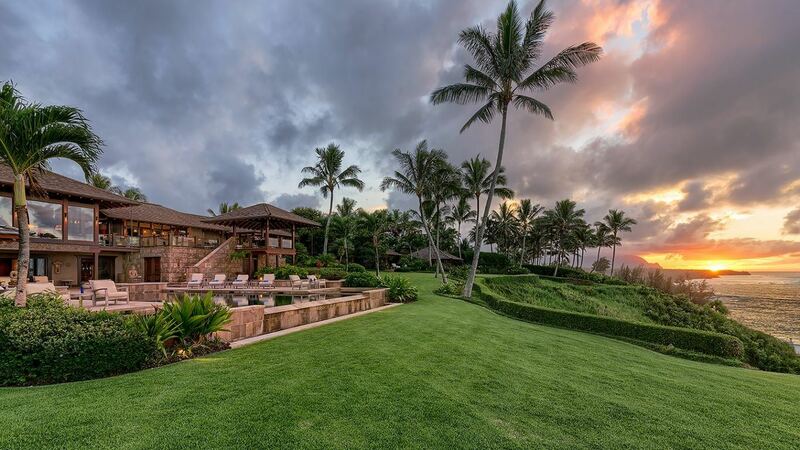 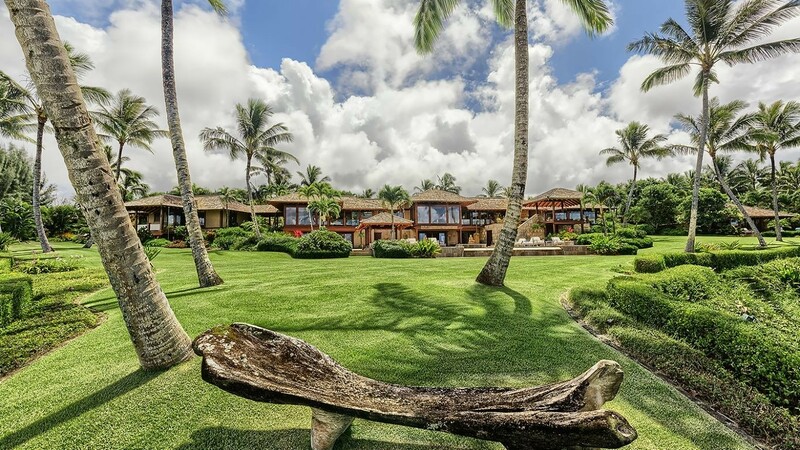 Villa Athena is a stunning Balinese-inspired Masterpiece is situated on 15+ secluded acres located directly above Secret Beach on Kauai’s North Shore. 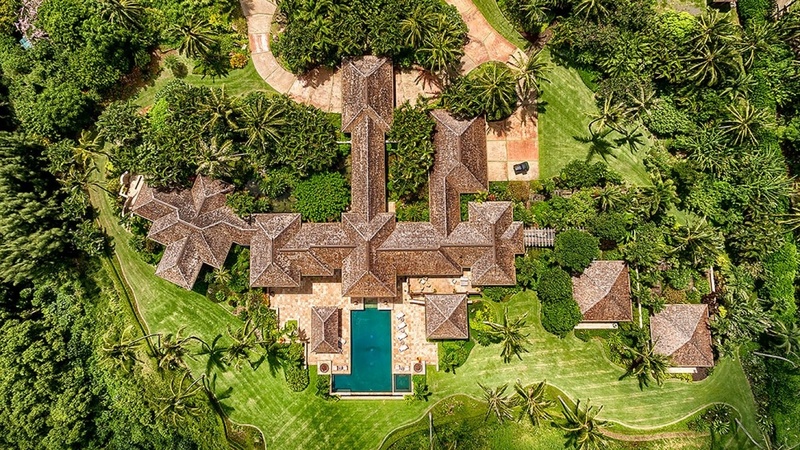 It is also an operating farm involved in the growth and sale of various palm and coconut trees, citrus trees and other exotic floral plantings. 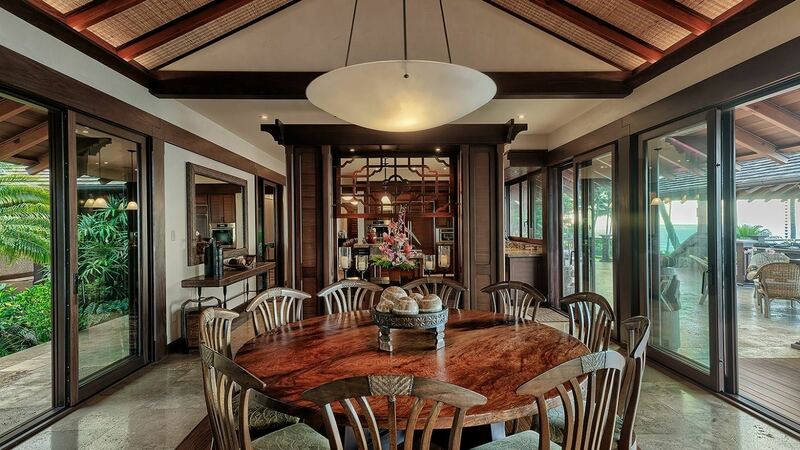 The property is gated and private, with an on-site farm manager. 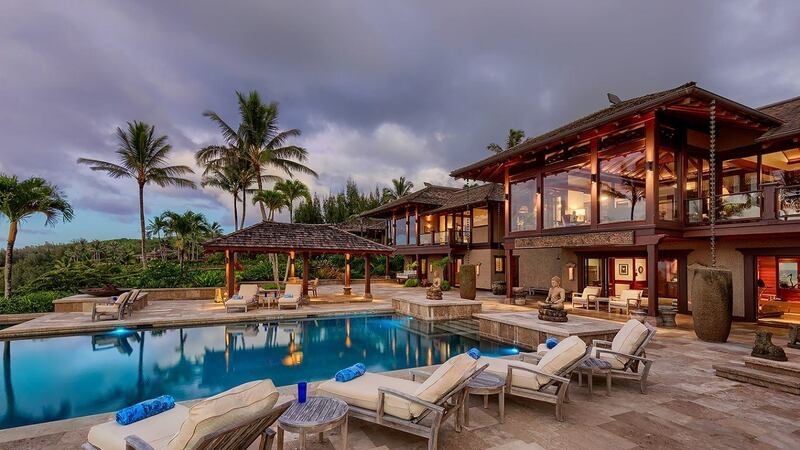 The house is comprised of four Balinese-inspired Pavilions. 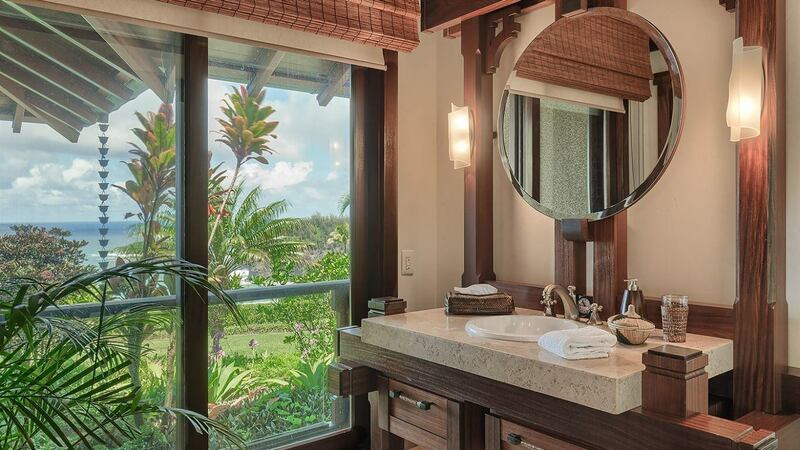 The Central Pavilion is accessed across a 3,500+ square foot pond and features an expansive gourmet kitchen, dining area, living room, office and bedroom with a king-sized bed and bathroom with shower. 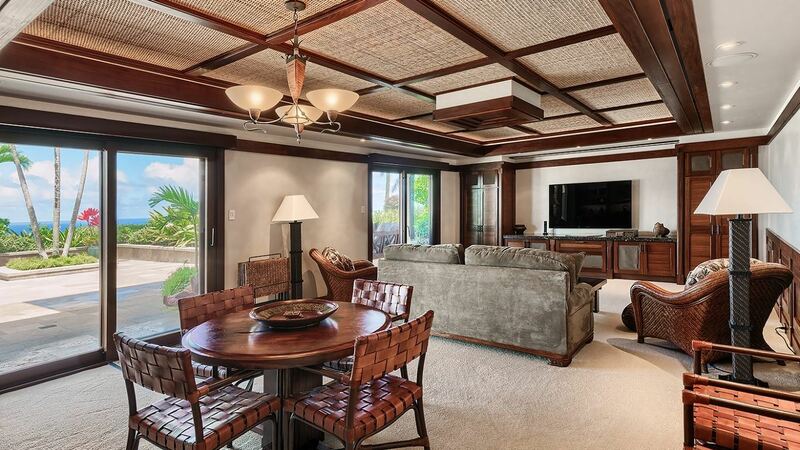 On the ground floor of the Central Pavilion, the house features a media room with a flat-screen HD TV, full bathroom with shower and a state-of-the-art exercise room complete with Cybex Eagle equipment, Pilates reformer, and ping pong table. 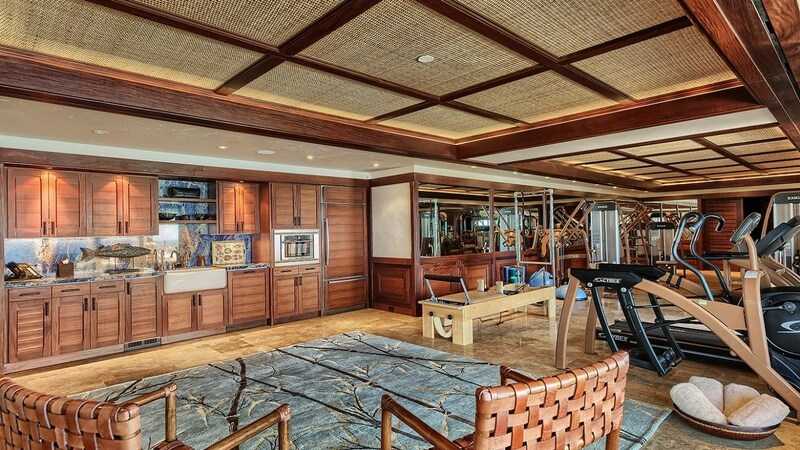 The lower level also features a full wet bar that services the swimming pool area as well as the lower level. 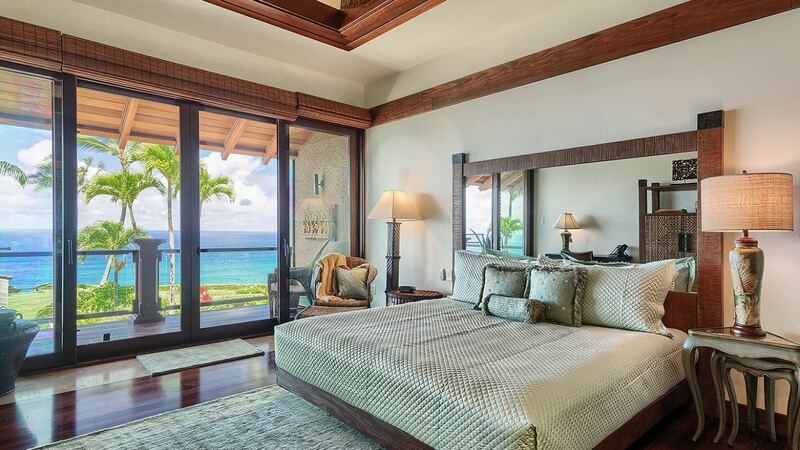 The media room has a queen-sized sofa/bed for a possible maximum occupancy of 8. 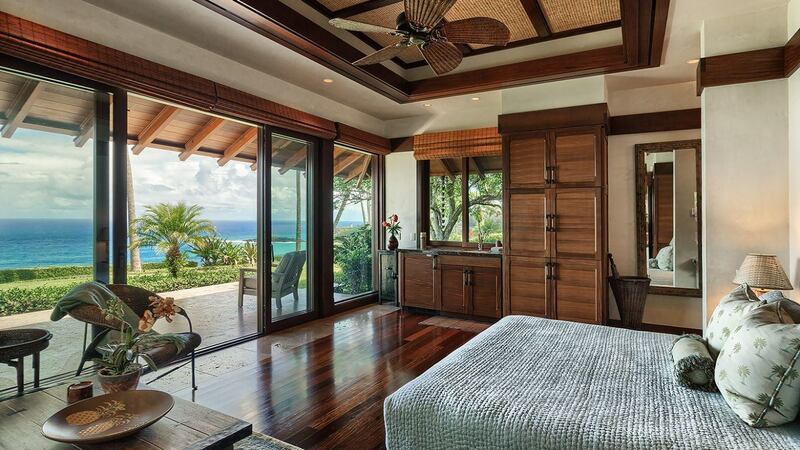 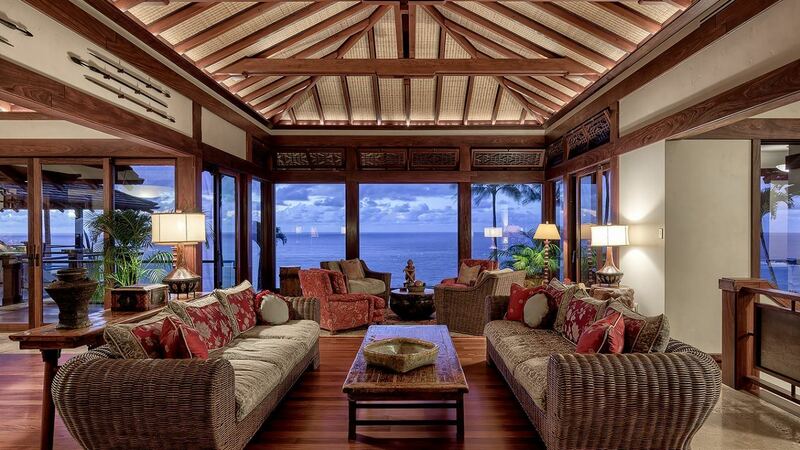 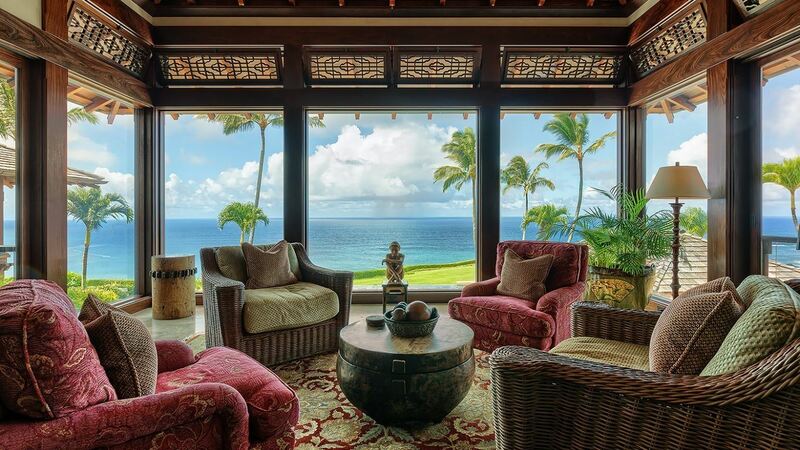 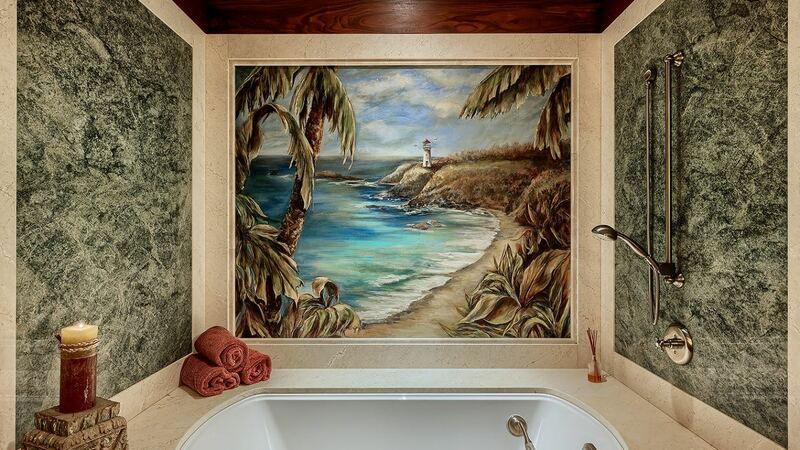 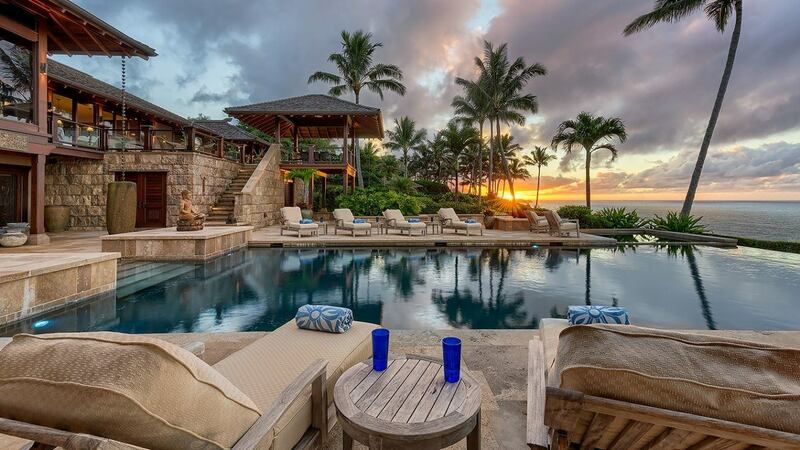 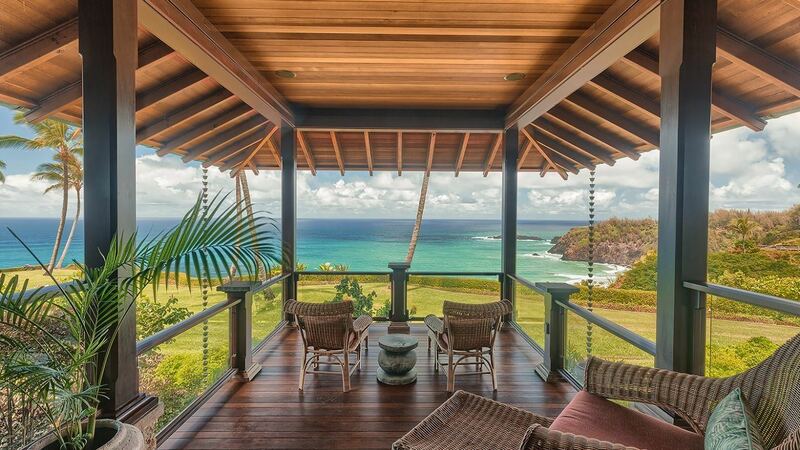 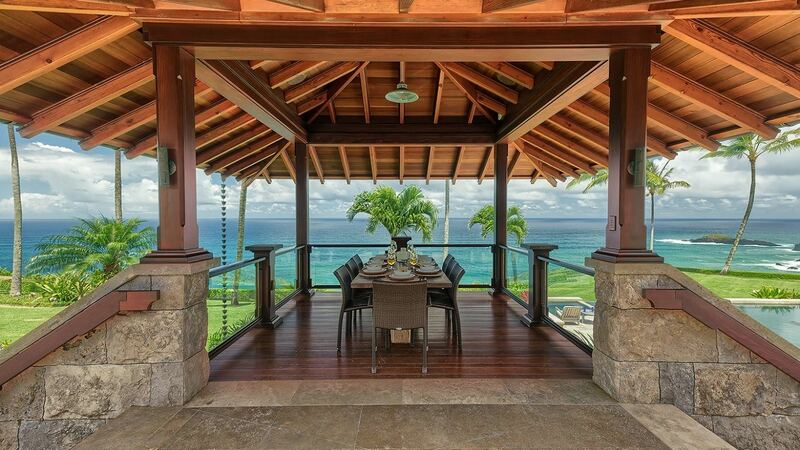 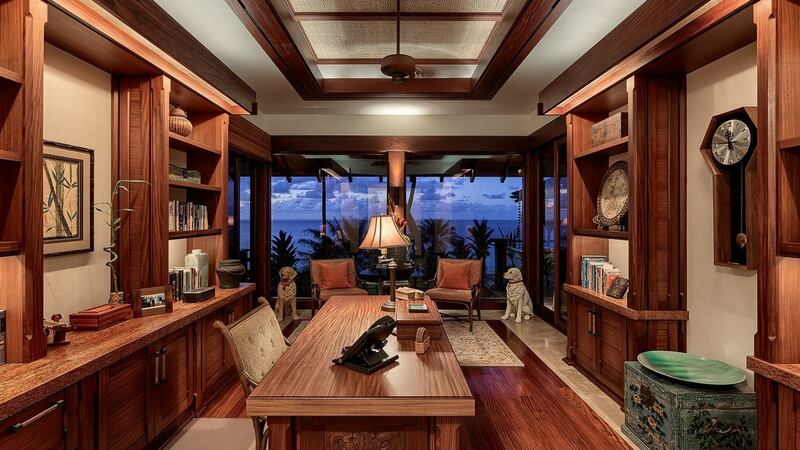 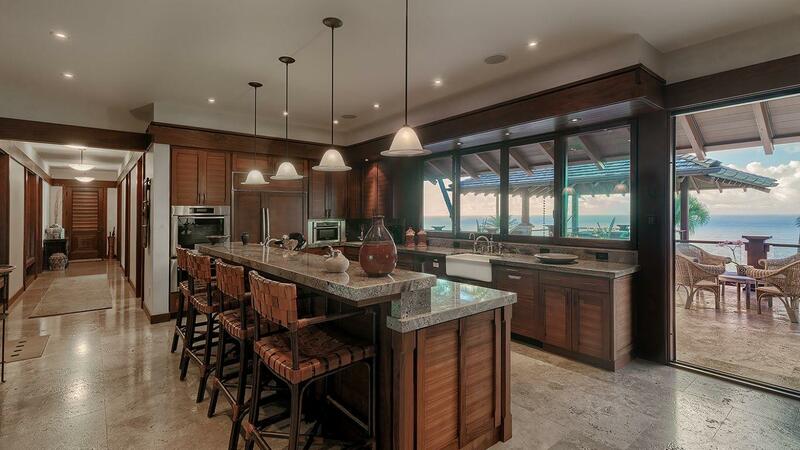 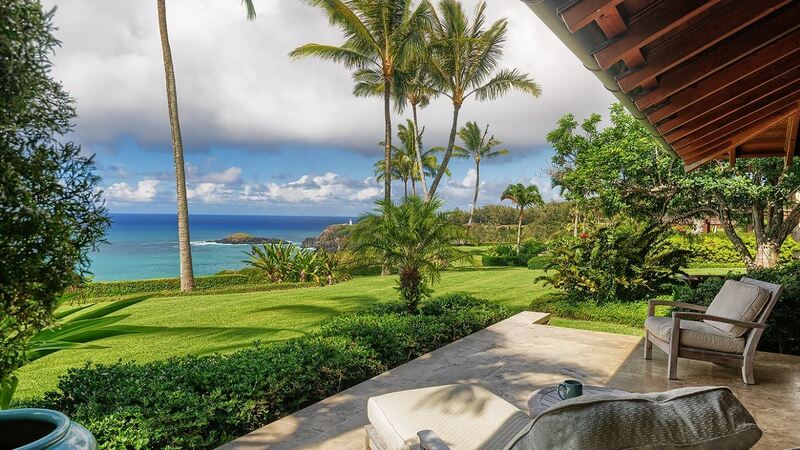 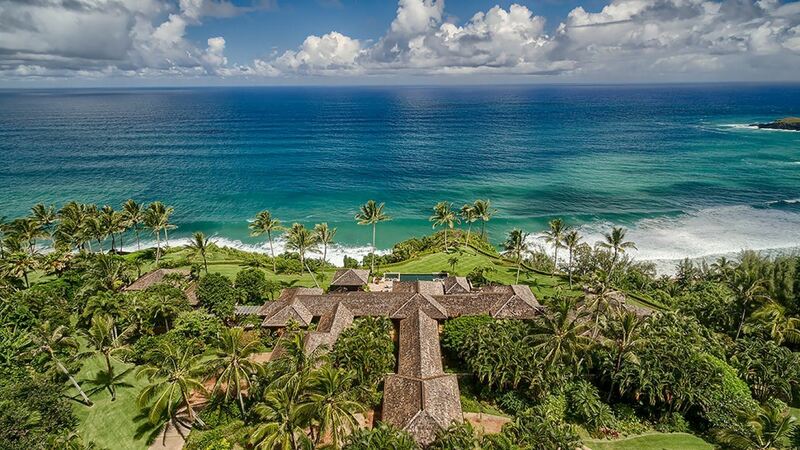 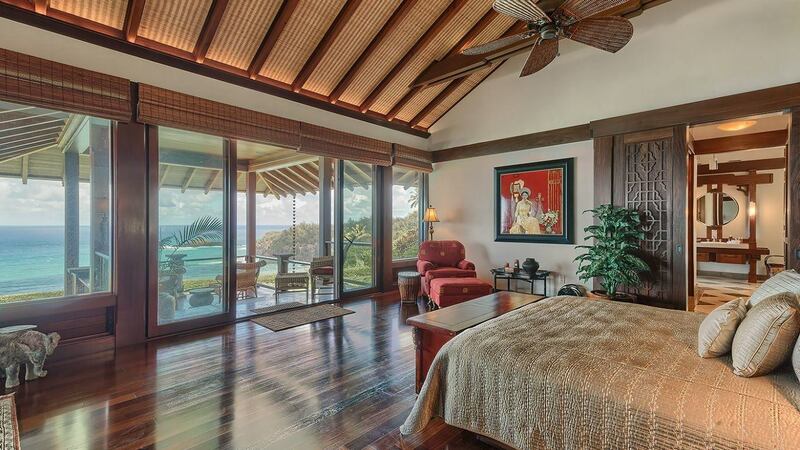 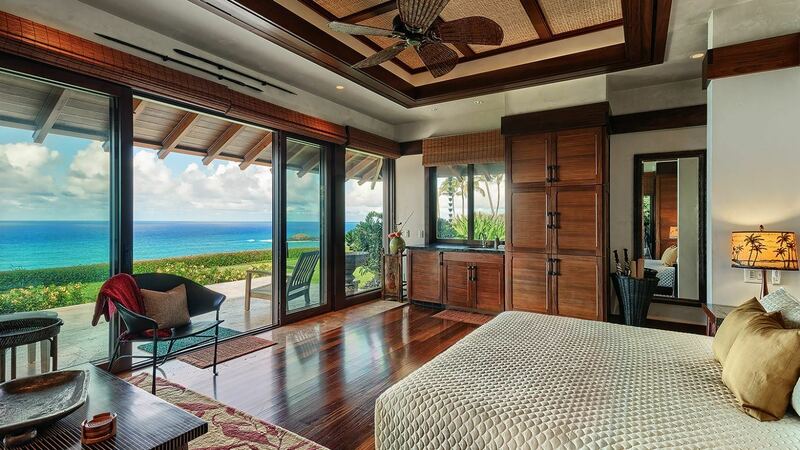 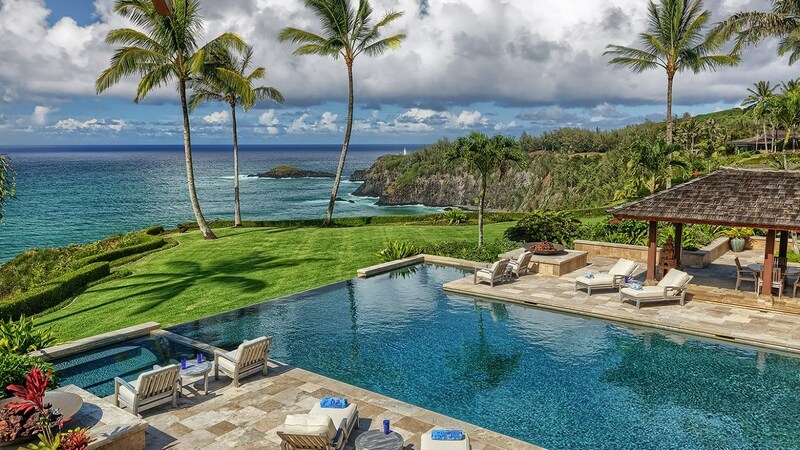 The estate boasts spectacular views of the ocean, Secret Beach, Bali Hai and the historic Kilauea Lighthouse. 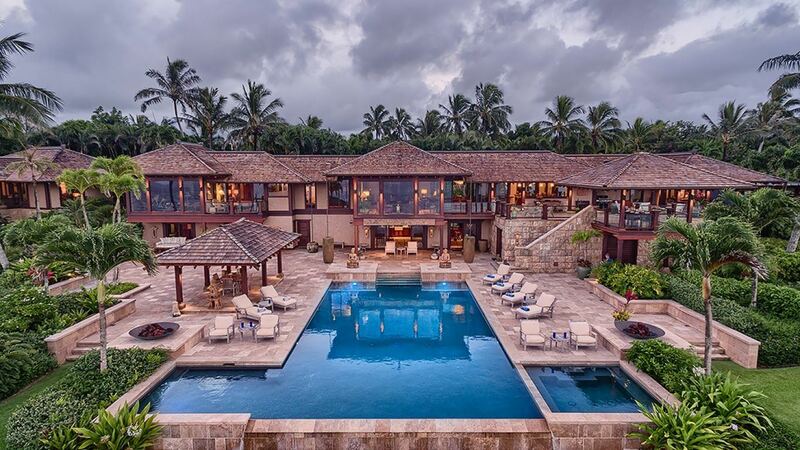 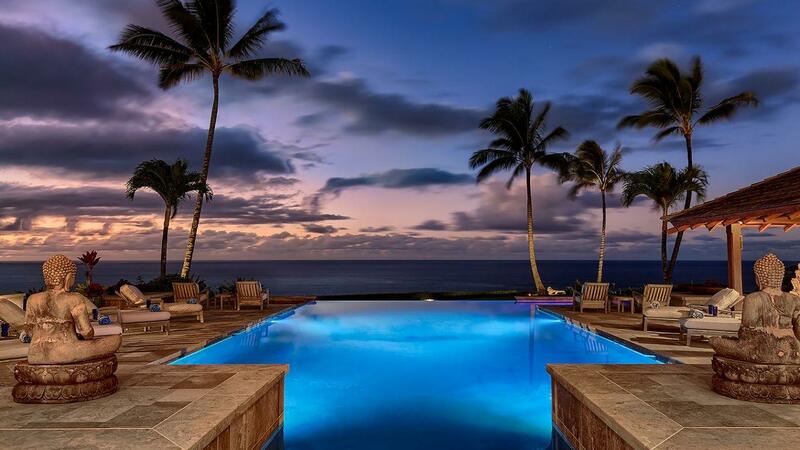 A luxurious place for a once in a lifetime vacation retreat. 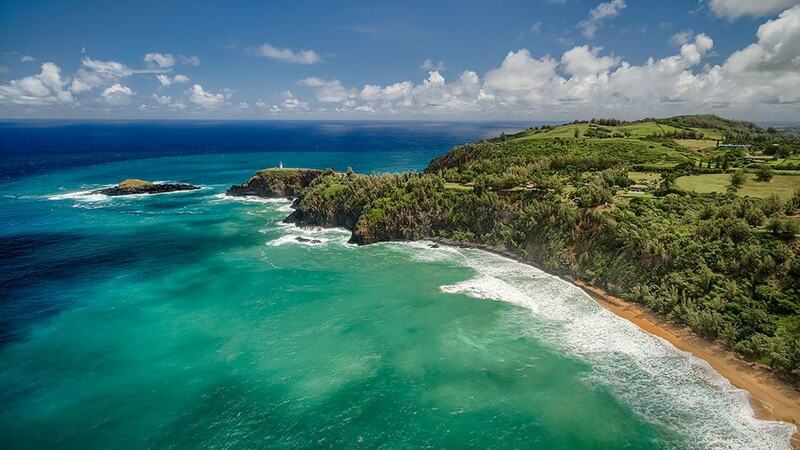 The most pristine of Hawaii’s islands, Kauai, or “The Garden Isle” is a dramatic panorama of majestic emerald peaks and canyons dotted with waterfalls. 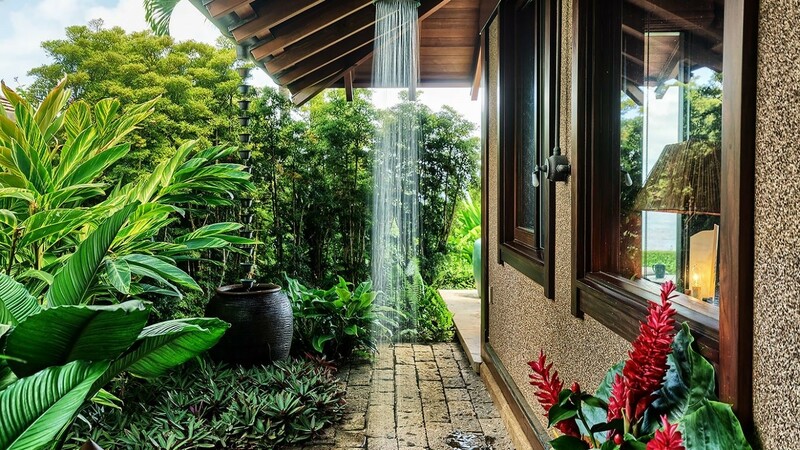 It’s a lush place where vibrant jungles and rivers flow down to 143 miles of magnificent beaches.